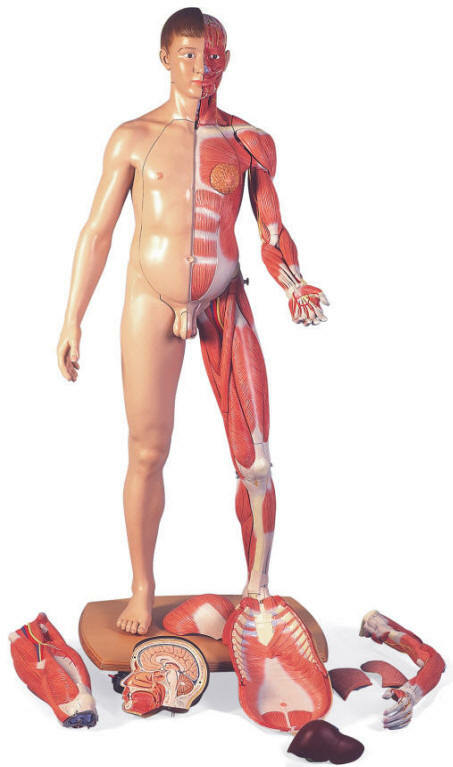 This life-size, high-quality model represents a wide variety of human anatomical structures in highly accurate detail. It is especially suitable for the high standards of medical school. 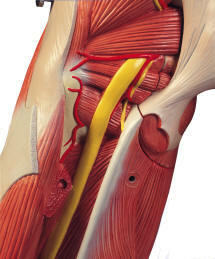 The right half shows the skin; the left half, the superficial and more profound muscles with nerves, vessels and bony structure. 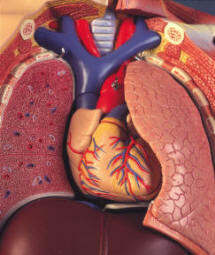 The versatility of this model is rounded off the accurate representation of internal organs. Its components are: 2-part head; brain half; Sternocleidomastoideus muscle; 6-part muscle arm (detachable: deltoid muscle, biceps muscle of arm, triceps muscle of arm, long palmar muscle with radial flexor muscle of wrist); 5-part upper leg (detachable: sartorius muscle, gluteus maximus muscle, rectus femoris muscle, long head of biceps, femoris muscle with semitendinous muscle); 2-part lower leg (detachable: gastrocnemius muscle); chest/abdominal with detachable mammary gland; torso body with skin, arm and leg; 2 lung halves; 2-part heart; liver with gall bladder; 2-part stomach; half kidney; 4-part intestine set; 3-part female genital insert with embryo; and 4-part male genital insert. 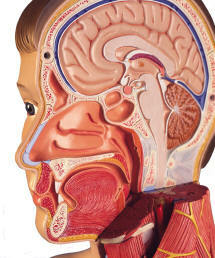 It comes with study programs on CD-ROM and CD-ROM with illustrations and description of the individual structures. Supplied with wooden roller base and assembly instructions.